Silver necklace with Swarovski crystals by KennyMa. 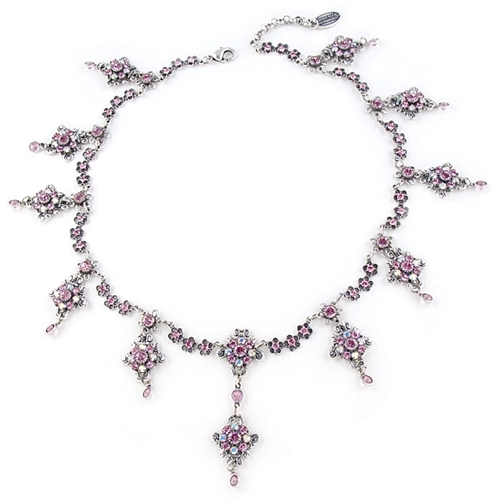 This elegant designer necklace features flowers rosettes all dressed with iridescent white and pink Swarovski crystals and dangling pink crystals at the end. 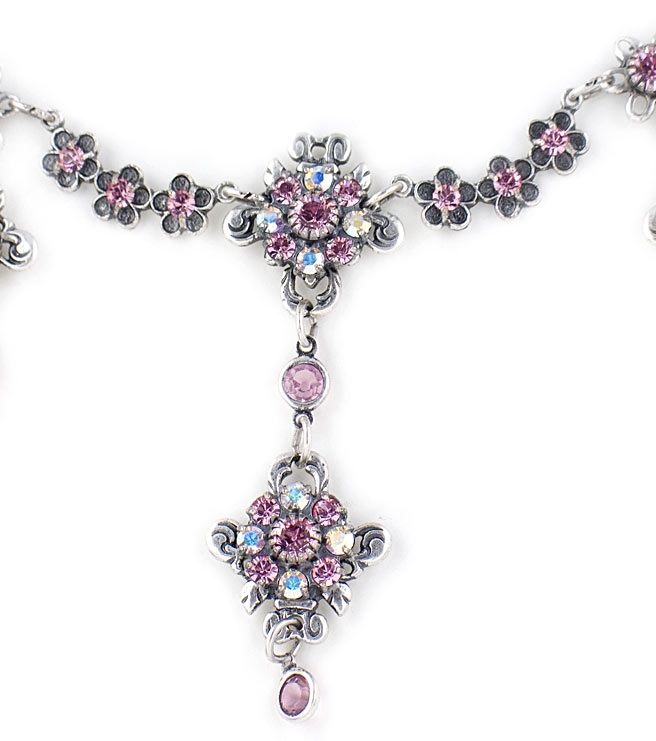 Necklace has also a unique chain made with small flowers with a Swarovski crystal in the center and measures 40.5cm in length with a 4cm extender. Also makes a perfect gift.